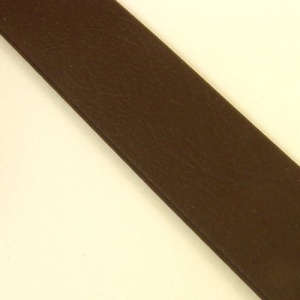 Biothane Beta is a brilliant modern alternative to leather strips, when making items such as dog leads, horse tack and handbag straps. It's extremely strong and durable, and unlike leather, it requires no maintenance to keep it in good condition. Biothane is washable, easy to use, and comes in a range of colours. 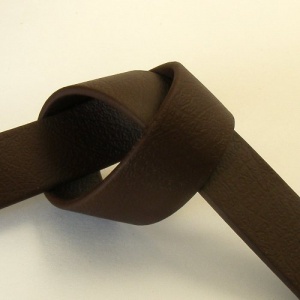 This listing is for 3/4" (19mm) Biothane Beta in Dark Brown. This width of Biothane Beta has a breaking strain of 340 kilos (750lb) and is 2.5mm thick. Available in 2 metre and 5 metre lengths.